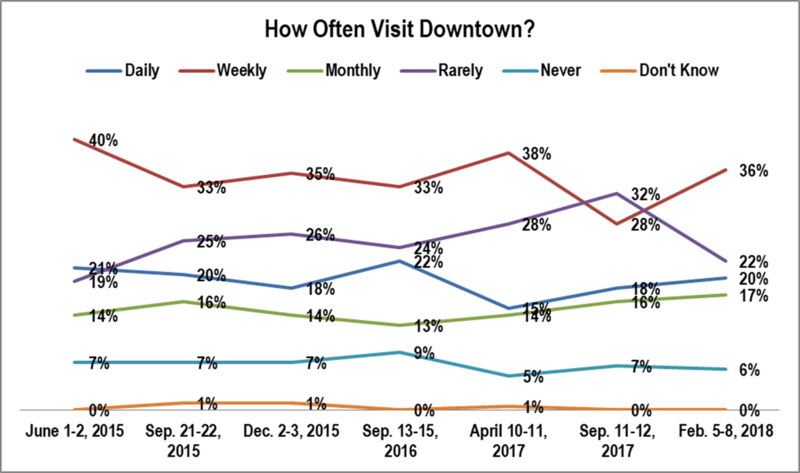 Those agreeing that downtown safety problems are less important or inconsequential continues to increase from 2016 levels. 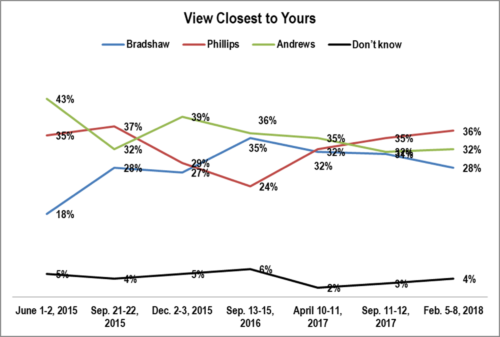 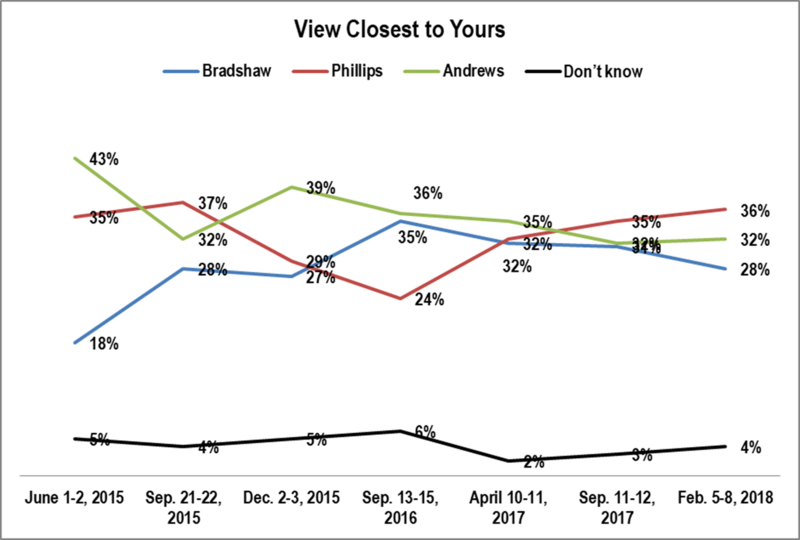 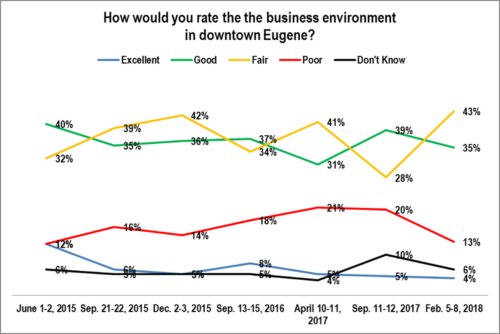 The perception of the downtown business environment improved and is back to late 2015 levels. 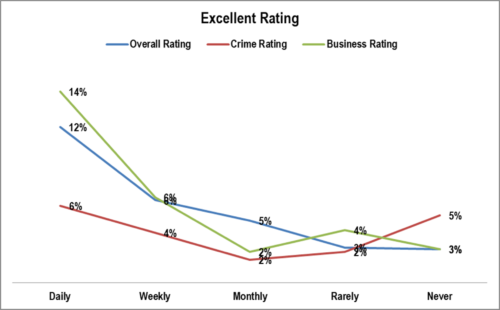 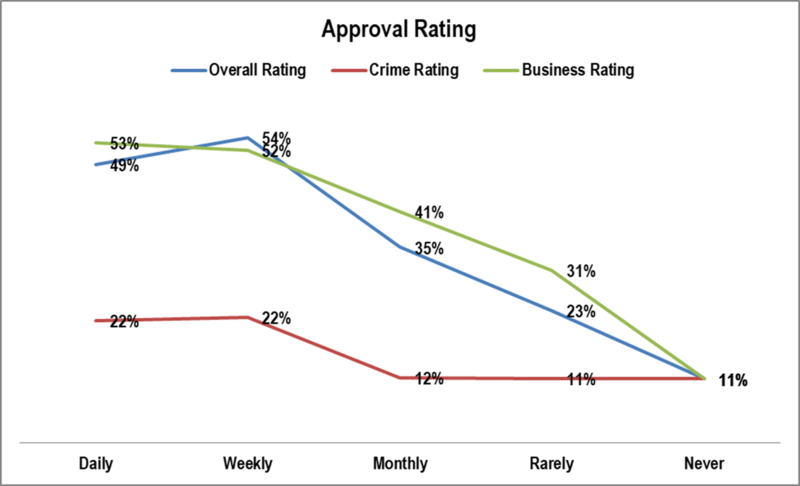 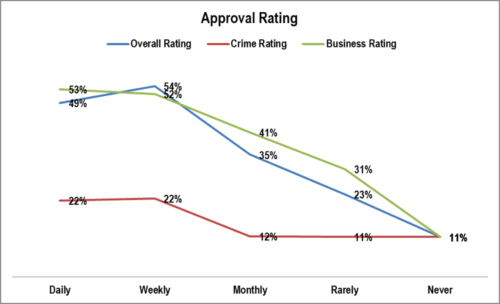 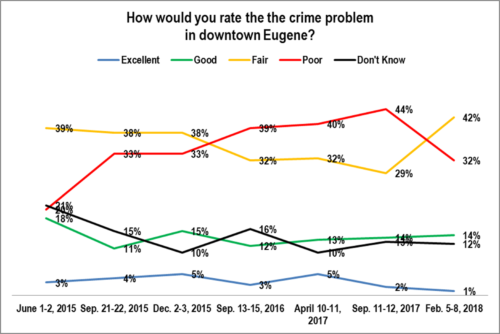 The perception of crime downtown took a sharp drop in February after steadily increasing since the middle of 2015. 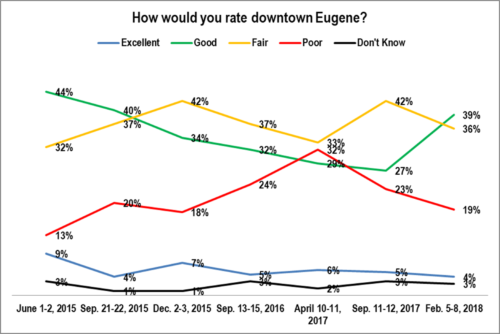 Downtown Eugene’s overall approval rating is approaching 2015 levels. 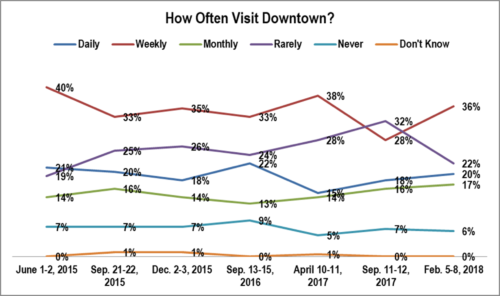 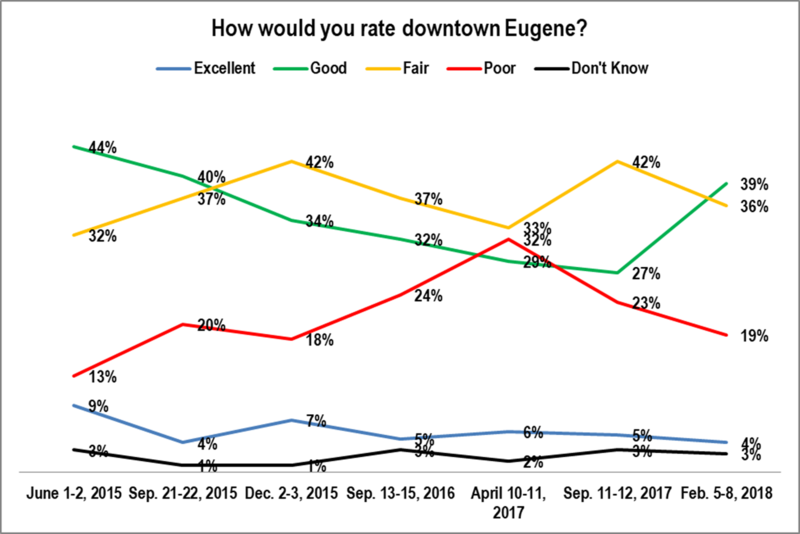 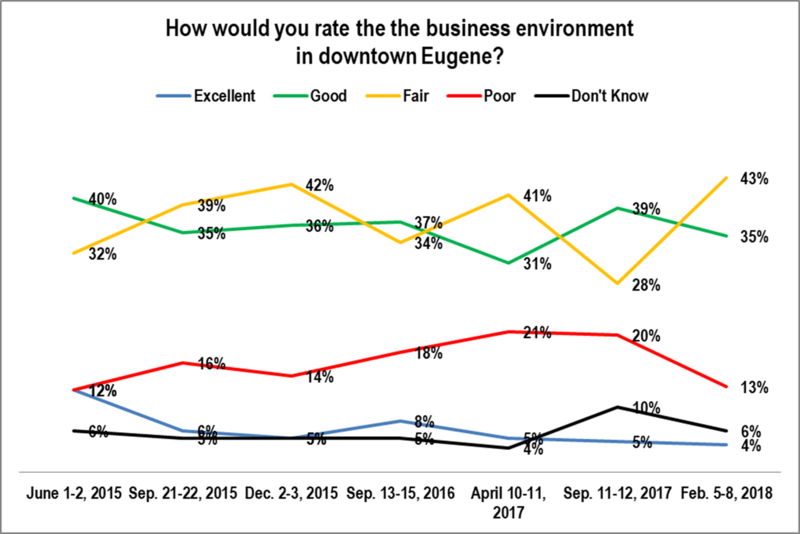 Younger Eugeneans clearly have the highest ratings for downtown’s business environment. 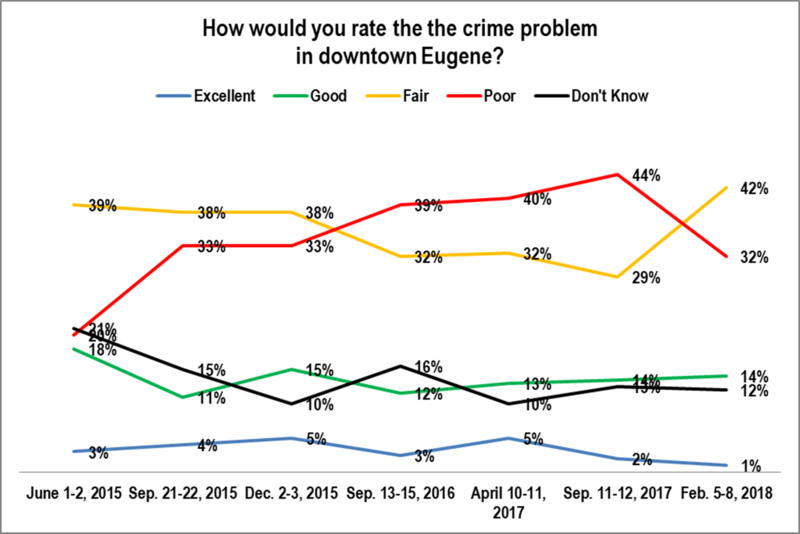 Younger non-Republican Eugeneans are least perturbed about any crime problem downtown.